Sometimes while ordering at a restaurant, checking out at the grocery store, or even just sitting in a square you'll hear someone say, “vale, vale, vale, si, vale... vale, vale.... vale, vale, si, si, vale, vale, vale.” I cannot make this stuff up. It's awesome. What does it mean? “Yep, yep, okay, yes, sounds good, yep, okay, yep, okay, sure.” I'd never heard the term “vale” before moving to Barcelona, but if you learn just a few words before coming here, it's one that's sure to make you sound like a local. We're good. Pop Rocks it was. Since then we've seen it on the menu and had it in desserts a few times (like in our epic dinner at Restaurante Tobiko in Toledo). Apparently it's a very popular Spanish ingredient. Who knew?! 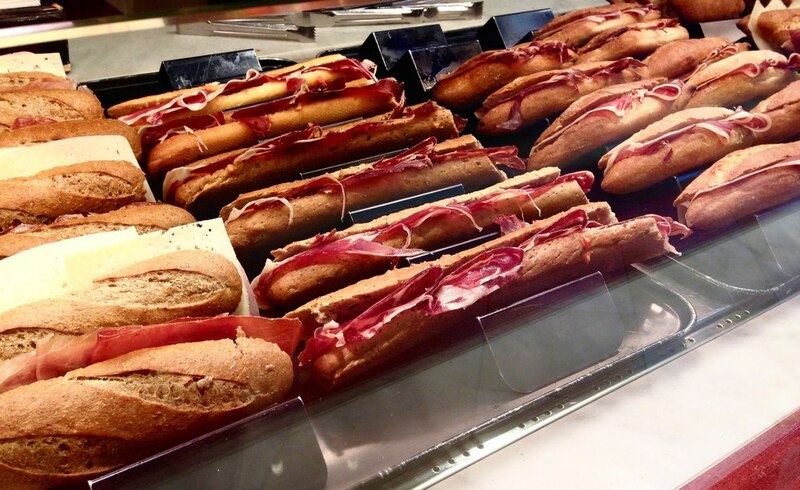 Bocadillos are small sandwiches typically made on baguettes and the Spanish eat them all the time. Breakfast? Yep. Snack? Yep. Lunch? Sure. Before the Club? Vale, vale, vale. Sandwiches in and of themselves are great. Who doesn't love a good sandwich? However, bocadillos are made with one type of meat or one type of cheese on a baguette rubbed with tomato. You don't get meat and cheese. You don't get vegetables. You get one main ingredient on tomato bread. Once I tried to order a salami and cheese sandwich and after much confusion about whether I wanted two sandwiches or not, the waiter said he would need to ask the cook if he could do both salami and cheese on a single bocadillo. It was awesome. If you know Spanish decently well and come to Barcelona, expect to have a moment or ten where you believe you've forgotten it all and apparently are no longer, “good enough to get by.” Rest assured, you have not, you just don't speak Catalan and everyone in Barcelona does. 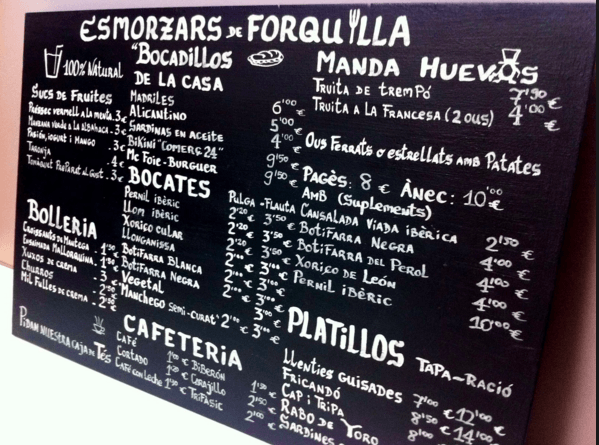 Most people will speak to you first in Catalan and at non-touristy restaurants you will be handed a Catalan menu. I've learned that if someone says something and I have no idea what was said, I can respond in Spanish and they'll usually get the point and switch. A dead give away on menus is all of the “x's” and extra apostrophes. If you're looking to blend in, greet people with “Bon Dia” and say farewell with “Adéu.” Just know this might get you into trouble if they try to strike up conversation :). When out at a restaurant, after you've finished your meal, your waiter will come over and ask what else they can bring you. If you say you don't need to order anything else they will look at you like you're crazy and insist, “Café? 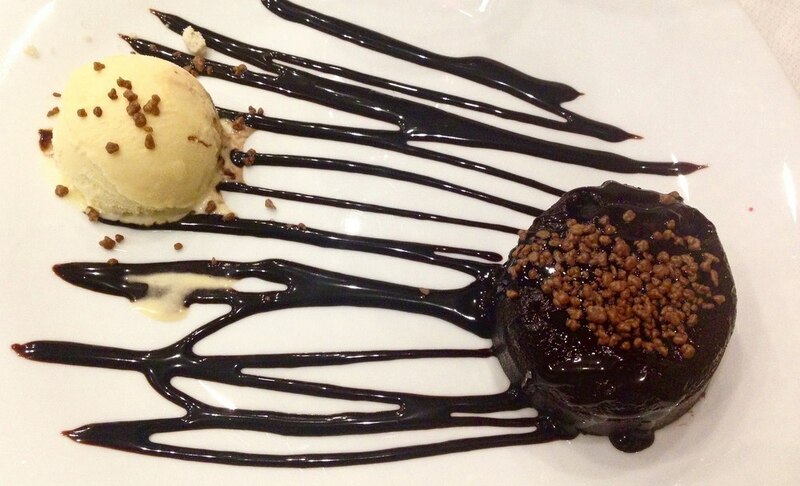 Postre?”. 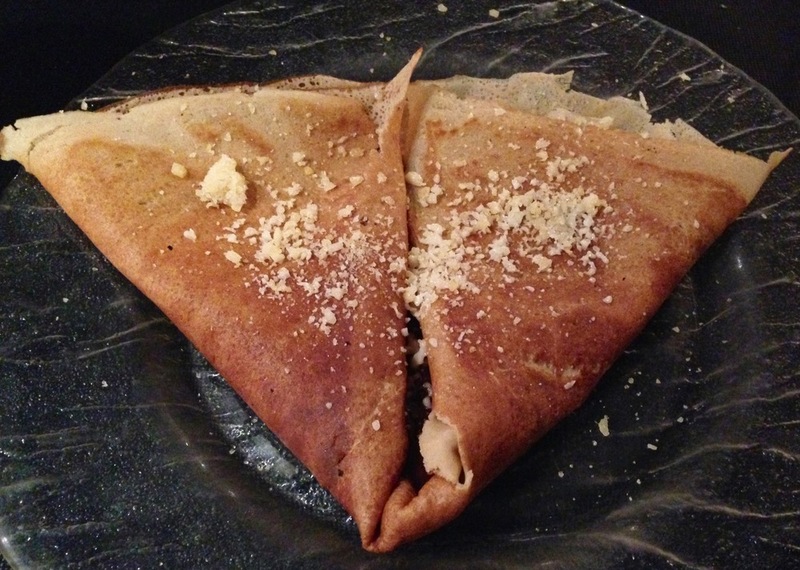 It is very un-Spanish to end a meal with the main course, so again, if you're looking to blend in, at minimum order dessert, but better yet order coffee too. On the bright side, there are worse things in life than needing to drink more coffee and eat more dessert :). Vale, vale, that's all I've got for you today!